Rest Day 10/10/13: Go For a Walk! Along the Charles if Possible! Go For a Walk! Along the Charles if Possible! Life get’s crazy, especially this time of year as we gear up for fall parties and the holidays. Speaking of Holidays, the Head of the Charles is known to rowers as Rowing Christmas. Every year on the third weekend of October, rowers past and present gather to remember the good old days and push themselves to the limit against the best in the world. If you can get outside today, go for a walk along the Charles River. You will more than likely see other random people both tall and small looking at the bridges and turns scouting their line for race day. Keep an eye out for coaching launches filled with coxswains doing the same thing from the water. The biggest regatta in the world is just over a week away. Time to get excited! 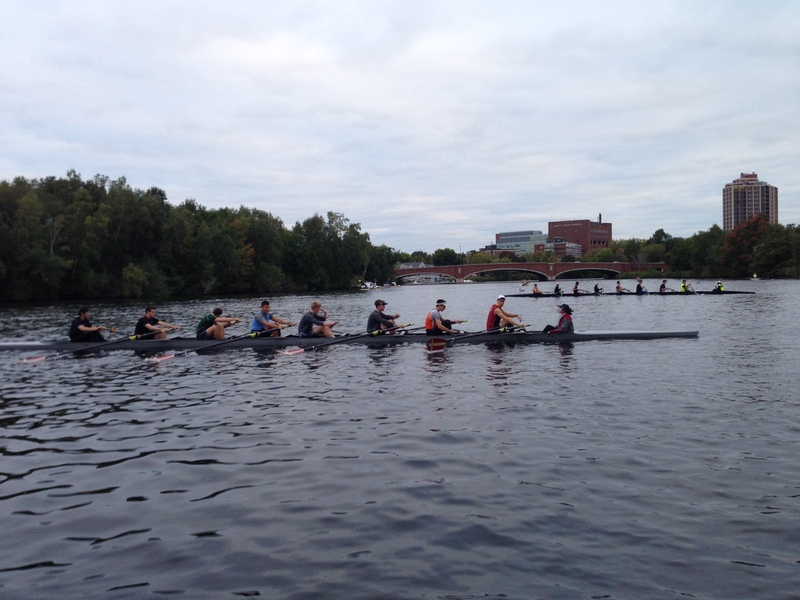 Never seen the Head of the Charles Regatta before? Try the following today! Take 15 minutes today to stop. Breathe. And go for a walk. If you’ve got a river or body of water nearby go for a stroll and watch some rowing. How does the boat move in relation to the body? What part of the stroke does the boat move the fastest? How’s the form look compared to your erging? If you’re lucky enough to do this please share your thoughts, where you were, and what you saw! This entry was posted in Motivation, Our Mission, Rowing and tagged balance life, endurance sports, functional movements, health, healthy-living, inspiration, outdoors, personal experiences, rowing, sports, water by Renegade Rowing. Bookmark the permalink.